The collection relates to all things electrical from the earliest classical discoveries (c.600 BC), up to the modern age. The exhibits include most types of electrical equipment. 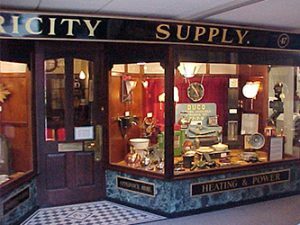 Our extensive Library and Archive contains early Electric Lighting Company records; Supply Industry publications; Catalogues, Photographs and Advertising Media; plus a large collection of related Text Books. Many of the exhibits can be operated by push button. The collection, originally formed as the Seeboard ‘Milne Museum’ at Tonbridge, Kent, has been housed at Amberley near Arundel, West Sussex, since 1993 and is exhibited in a purpose-built display hall. An adjacent garden contains outdoor street furniture and distribution substation equipment. 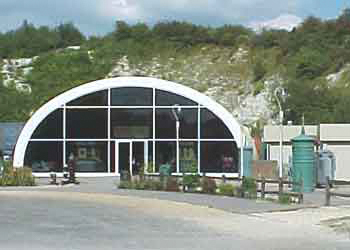 The display hall is served by the site’s narrow gauge railway, which has a station adjacent. Visitors may also use the site’s vintage bus service which has a Bus Stop close by the hall. Of course, if the weather is nice and you would welcome the exercise, our hall is only a few hundred yards from the ticket office and is well signposted. 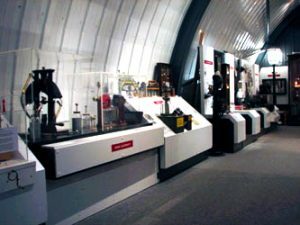 The front hall exhibits are mainly associated with the GENERATION & DISTRIBUTION of electricity including Generators, Transformers and Switchgear. 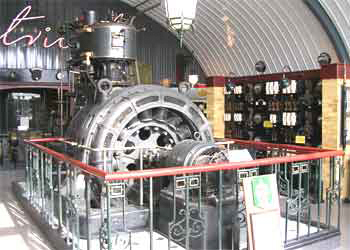 Power Station BATTERY equipment is displayed along with its associated control gear and an early example of a Mercury Arc Rectifier. ELECTRIC VEHICLES, range from a 1960’s electric car to an electric Police Bicycle and not forgetting Sir Clive Sinclair’s notorious C5, are all on show. Domestic wiring, metering, motors and generators are also covered in this area of the Hall. Between the front hall and the rear hall, a large Faraday cage contains HIGH VOLTAGE electrical equipment which can be seen working by arrangement. Exhibits range from a Wimshurst, static-electricity generating, machine to a mains-powered Jacob’s Ladder, an Impulse Generator and a High-Frequency Tesla Coil. In the adjoining gallery is a Van de Graaff Generator which can also be demonstrated by arrangement. 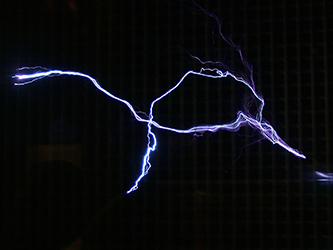 The GORDON GALLERY contains a series of ‘hands-on’ working models and demonstrations, illustrating the Science behind Electricity and the key discoveries which led to the modern Electrical age. The contributions of scientists such as Franklin, Volta and Faraday are illustrated with experiments including Static, Chemical and Magneto-Electricity and their typical applications. The display progresses to the invention of the light bulb and the birth of the public Electricity Supply Industry. A separate display case houses a model which shows the generation and application of ‘green’ power, including solar, wind and water powered generators. 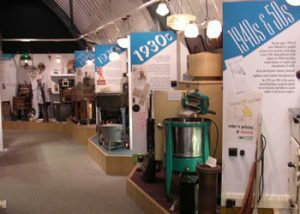 A reconstruction of a 1935 Electricity Showroom, together with Decade Displays, show off the Domestic Appliance collection. (This date was chosen to coincide with the attainment of 50% of households being connected to the supply. Other displays through this area focus on individual groups of appliances. Here can be seen one of the first, powered vacuum cleaners, weighing about half a ton and too large to enter a house and one of the first all-plastic electric kettles. Washing machines, cookers, refrigerators and many more artefacts complete our understanding of the use of electrical appliances in the home. 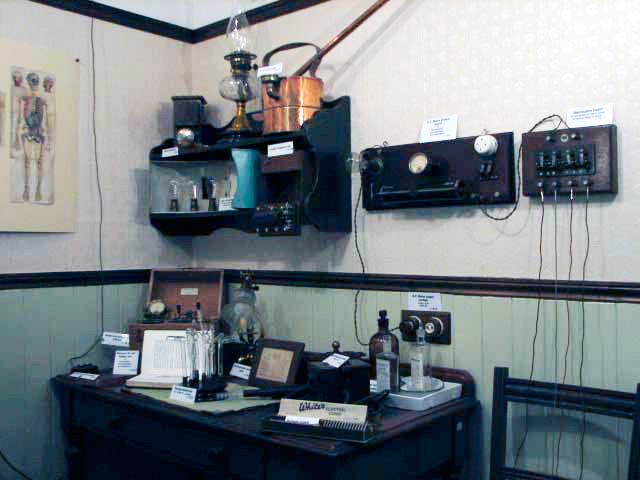 ELECTRO-MEDICAL EQUIPMENT is displayed in a reconstruction of a 1910 Doctors consulting room. Various “quack” electrical machines are included, to show the extent to which electricity was once believed to be the cure-all for every ailment. Why not try the Violet Ray machine? It is completely safe and isolated behind glass to reduce the effect felt.